One of my favorite spreads is peanut butter. I prefer it to Nutella as it is more natural and more filling. Having said that even thought I like its taste I do not like it on toast just by itself. I love it when it is used in cookies, cakes or other types of desserts. Usually I go for peanut butter cupcakes, muffins or cakes but this time I was a bit lazy so decided to try something simpler. Peanut butter cookies. Now again when it comes to cookies I am picky too and I prefer soft ones. Going through recipes I realised that soft cookies are usually made with a mixture of white and brown sugar. I assume that brown sugar gives them that chewy taste and it does make sense due its consistency. 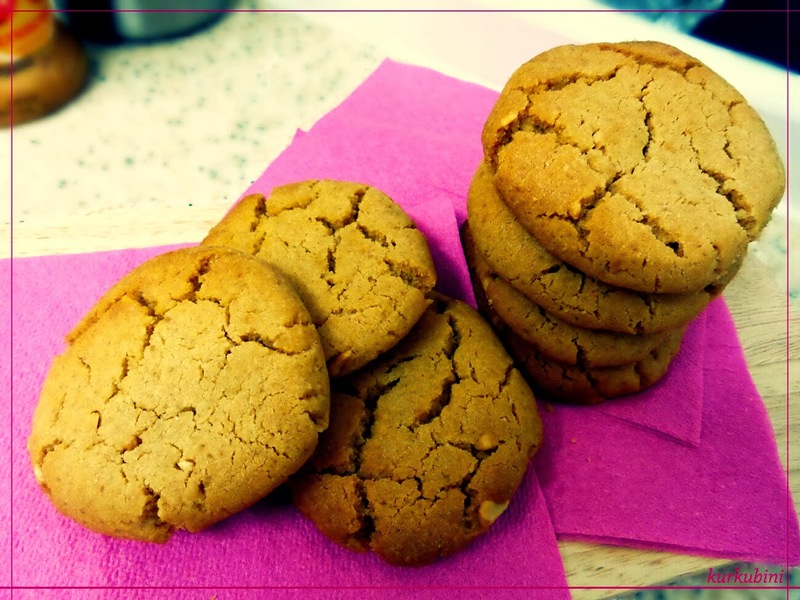 This recipe is extremely simple and you end up with cookies in just 30 minutes! In a mixer we beat the butter and peanut butter until they are soft, fluffy and well combined. We then add the sugar and we continue beating for about 5 minutes. Add the egg, vanilla essence, baking soda, baking powder and salt and continue beating for about 3 minutes. Lastly we slowly add the flour and continue beating until we have a workable dough. We work the dough with our hands into small balls. We flatten them and place them on the baking tray. Keep in mind that once in the oven the cookies will expand so make sure there is distance between each other. We bake for about 6-8 minutes or until they are slightly golden.